Clams, oysters, and geoduck are available for harvest in South Puget Sound and Hood Canal. Aw Shucks! Don’t miss the oysters. 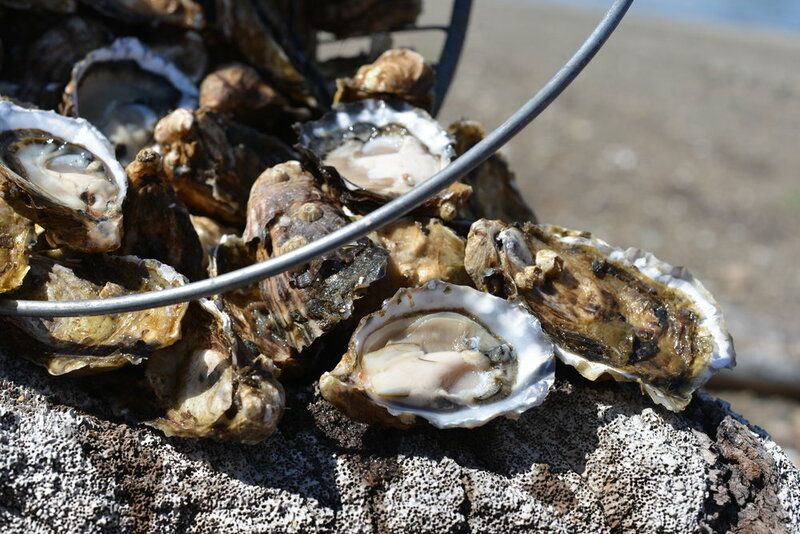 It’s a great time to head to Hood Canal and South Puget Sound to harvest and enjoy the bivalve bounty. Many State Parks and DNR beaches are open for public harvesting; all you need is a license, boots, bucket and a sense of adventure! Prefer to have the harvesting done for you? Pick up fresh oysters at one of the local markets or be shellfish and immerse yourself by staying at an oyster resort or visiting a farm for a tour! Beach fresh oysters, clams, mussels and geoduck are available at locations throughout the area. Many even will help you out with a quick shucking or prepping lesson. Always remember to keep your shellfish cold. Safe handling is key to a great experience! Taylor Shellfish’s headquarters are located just South of Shelton. Hama Hama on Hood Canal offers a self guided tour of the farm and the Oyster Saloon serves some great food and drink. The Olympia Oyster Co. (Mike’s) invites guests to stay at their farm. Prefer to gather your own? Many of the public beaches are open to harvest with just a shellfish license. Popular sites include Twanoh, Potlatch, Lilliwaup and Grapeview on the South Sound. Always be aware of conditional closures and limits. Want to know more about oysters? Check out this fun link too!